The term ‘margam’, which translates to ‘avenue’ or ‘way’, is a prescribed course of traditional repertoire in a bharatanatyam recital. A time-tested format, it covers the essential elements of the art form as a medley of distinct pieces wrapped in a structured presentation format. The format not only facilitates the communication of a deeper message through defined expressions and gestures, but also ensures the gradual buildup of a dancer’s stamina. The versatility of the structure gives the dancer ample scope for expression in the form of abstract and rhythmic body movements, the ‘nritta’, and explorations through expressions, the ‘abhinaya’. Over the years, the framework of bharatanatyam, predominantly showcased through ‘margam’, has lent itself to other forms of expressions such as thematic solos and ensemble productions. In a form, where the core structure offers immense possibilities for ideation and creative expression, one cannot help but notice a rise in spin-off trends from the traditional approach. It’s a situation that brings to the minds of conventional audiences a speculation about the future of the ‘margam’. Is the change in trend a consequence of evolving audience tastes? Or is it an outcome of the dancers’ explorative quests to stretch boundaries? Some promising artistes paving the way to the future, share their perspectives. Acclaimed for her highly imaginative presentations, the dynamic artiste Mythili Prakash, with over two decades of performances, shares that the excitement and challenge lies in the exploratory journey of her productions. Her works include narrative choreographies that go beyond traditional boundaries, yet reflecting an uncompromising classical integrity. Presented with an impeccable dance form, she also enjoys a ‘margam’, which offers her the scope to present ‘nritta’ elements, purely for the joy of it. Sharing Mythili’s lineage of mentorship under eminent artiste Malavika Sarukkai is the Bengaluru-based dancer Jyotsna Jagannathan. Moving back from Kenya meant that her foray into the dance world was much later than her peers. Yet, the notable progress made through two decades of her committed efforts serves as an inspiration for late entrants and bloomers. A promising artiste, who compromised her medical career for dance, believes in a deeper sense of purpose. “What am I trying to communicate? What is the take-away for the audience?” are questions that feed into her performance planning and design. Shweta Prachande, 28, a senior disciple of distinguished dancer Priyadarshini Govind, offers a traditional viewpoint. As an ardent admirer of the timeless design of ‘margam’, she describes it as a tool to enrich a dancer’s vocabulary and a deeper understanding of the form, while comparing its rich grammar to Shakespeare’s literature. “It is for connoisseurs, and to evolve into an informed audience, one must take the time and effort to grasp the nuances,” she states firmly. A regular participant in many festivals, the talented dancer is well-known for her qualitative performances in the classical arts circles. 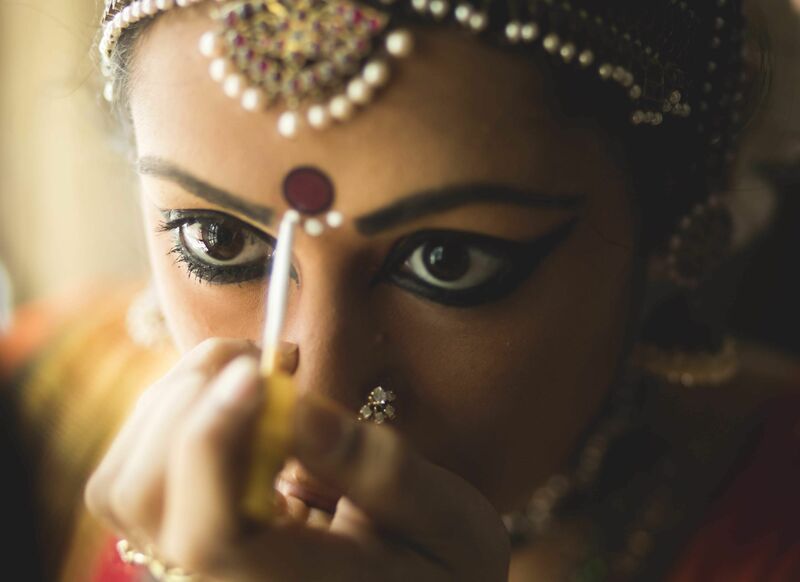 It is noteworthy that Shweta, originally from Pune, comes with an overall understanding of the art, including ‘Nattuvangam’, music and Tamizh texts related to dance. 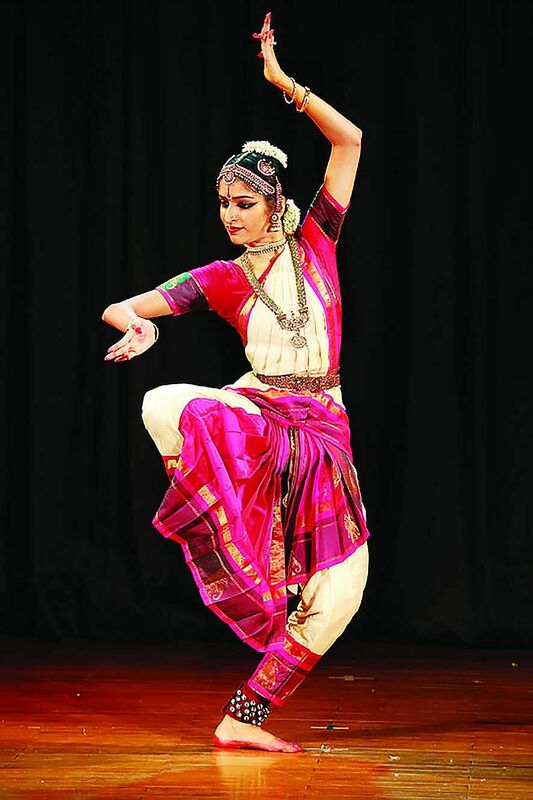 Another disciple of Priyadarshini Govind, Apoorva Jayaraman, 31, has a penchant for understanding the wider canvas of dance. This germinated in the form of Navadisha — a dance conference that she curated this year, with an objective of facilitating the exchange of ideas amongst the dance fraternity. Her outlook, at the recurrence of the insistent feature — the pining voice of the ‘nayika’ — in the centrepiece of the traditional repertoire, does makes one ponder. “To me, the pining ‘nayika’ is the voice of human aspiration. If viewed as a visual and poetic representation of the quest of a human mind for purpose, this becomes a timeless and strongly relevant concept,” remarks Apoorva, thereby addressing the relevance of such pieces in a transient space. Medha Hari, a disciple of the renowned artiste Anitha Guha, shares a similar wavelength with Apoorva on the Sringara Rasa — the expression of love. She believes it has a profound message, if understood in the right context. This leads us to the thought that some existing misinterpretations are perhaps an outcome of what is portrayed, and how they are received. 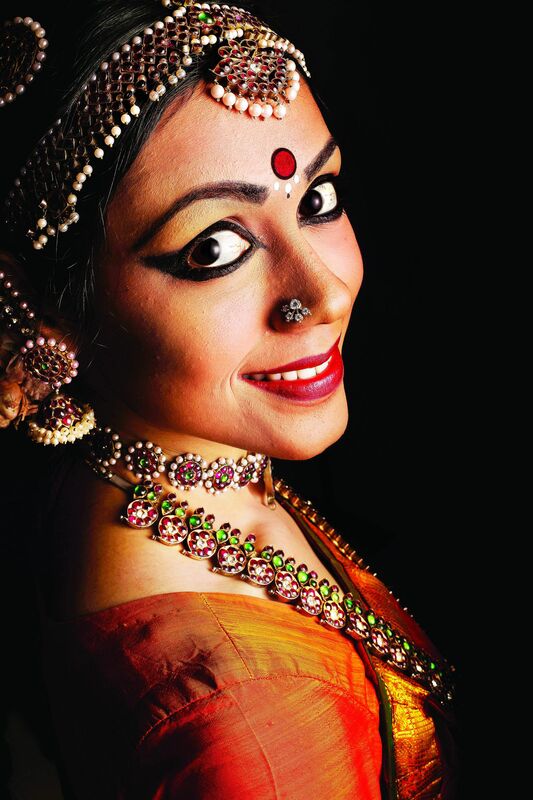 “While there lies a communication responsibility from the dancer’s side, the audiences also carry an equal responsibility to make an informed judgement,” offers Medha, a recent recipient of the NatyaRathna award by the Trinity Arts. 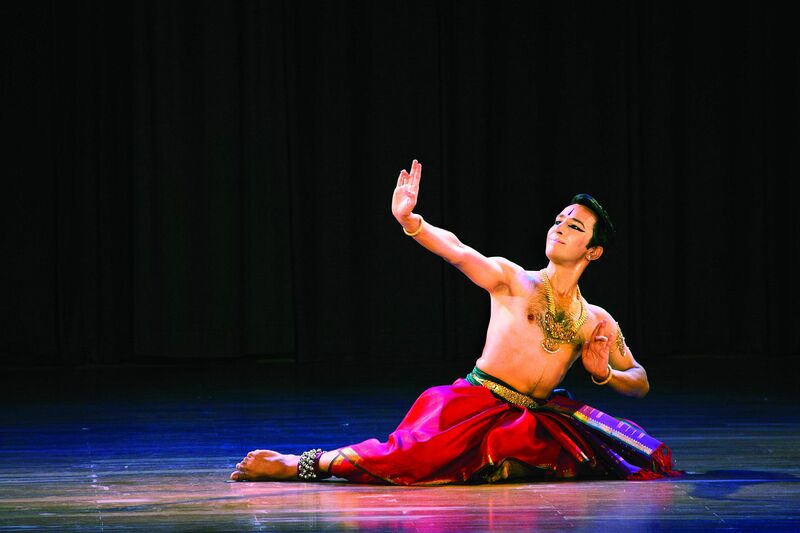 “As performers, we also need to be cognisant of the situation, audience and duration while planning a recital,” says 21-year-old Sudharma Vaidya-nathan, a disciple of seasoned dancer, A Lakshmanaswamy. Even as she sounds excited about presenting traditional pieces during the season, she might choose a different repertoire for a global event, such as an international conference, she reasons. While we see a multitude of views on each dancer’s choice over presentation formats, we also find some just going with the flow of their heart. “Even though I enjoy watching contemporary themes, my heart still lies in the traditional pieces,” says Radhe Jaggi, a solo performer currently exploring the ensemble space. Having sprouted from the same roots of the premier dance institution Kalakshetra, KP Rakesh, Christopher Guruswamy, and Radhe, share similar views on the versatile framework of the ‘margam’. Amidst all this, how does gender fit into the overall scheme of things? “To me, gender is a construct and it may well be a fashionable thing to say. But when you remove gender from any piece, the truth of it is revealed, which allows for a meaningful engagement,” says Christopher, a prior member of the acclaimed Leela Samson’s Spanda dance company. Bringing up the subject of opportunities, uncertainties, and the role of an artiste in an advanced world — KP Rakesh, a reputed dancer, ace choreographer, and teacher at Kalakshetra, highlights the limited opportunities and changing dynamics in other professions as well. “In today’s changing world, which profession has abundant opportunities? Then why is everyone questioning dance or music as a career option?” questions Rakesh, who has defined a style of his own, reflecting qualitative practice, traditional integrity, and an aesthetic eye. The views, as expressed by the young dancers in the fraternity, evoke a positive thought on a promising future that is being thoughtfully shaped. Their individual approach to the presentation style may seem diverse, but what comes out is unity towards their adherence to the roots. Exploring innovation avenues, while holding traditional values is a tough balancing act. We know from history that evolution is only natural, and the fittest to survive have always been the ones that adapted — to changes, circumstances, and realities. However, the fact remains that through the process of evolution, the core DNA has not undergone much transformation. So, while the challenge for the artistes lies in passing on the mantle without drastic information spills, the challenge for the audience lies in making sure they spot and cheer for the appropriate messengers. Ultimately, it’s a question for many of us to address: Is it not our collective responsibility as art lovers to ensure the propagation of our rich tradition for the generations ahead? A sought-after teacher and choreographer, Sheela Unnikrishnan looks at her production works as a win-win situation. While she derives pleasure from seeing her ideas take shape through her massive on-stage productions, she also engages students from her school Sridevi Nrityalaya on a grand stage. As a mentor, she takes pride in seeing her students evolve into individual performers over time. “Not just that, distinct individual talents stand out in a group, and enable audiences to spot and follow them through their solo performances,” she adds.